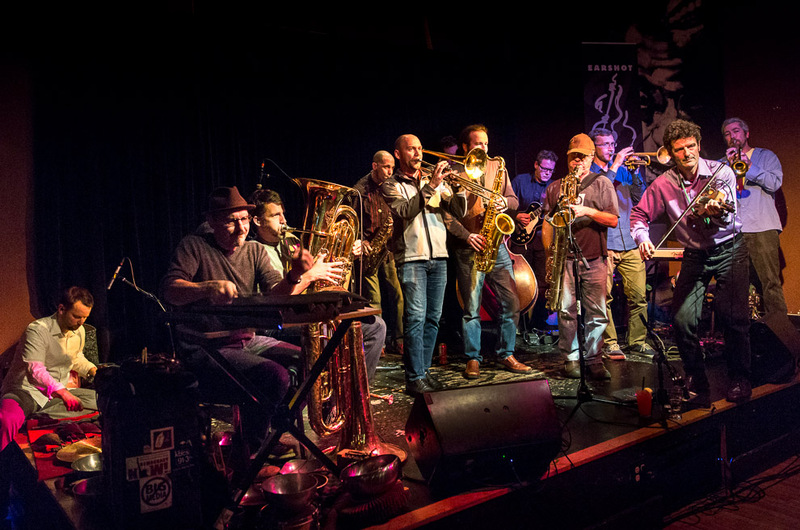 Last night at The Royal Room was a great party with the thriving Northwest collective, and the joy of its fostering the expansive projects of many of the region’s leading voices in adventurous and entertaining music – and doing all of that in a sustained and still-expanding way. 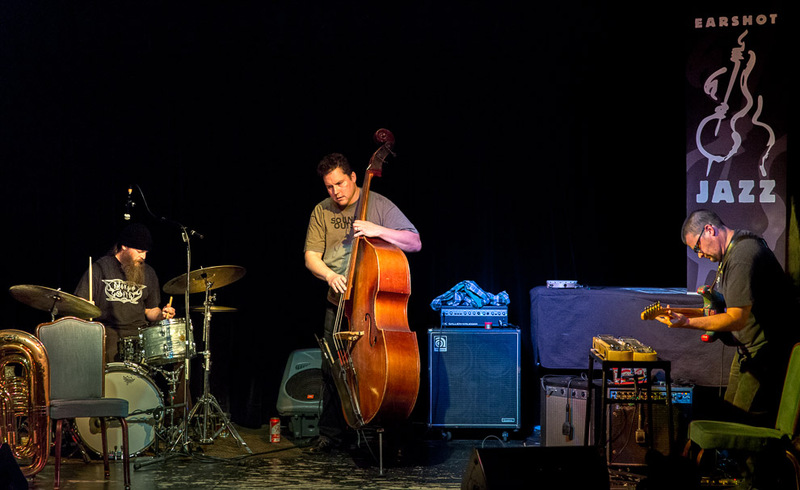 The MCMC was founded in 1990 by John Seman and Mark Ostrowski, two jazz musicians who sought to explore improvisation in jazz and contemporary music. 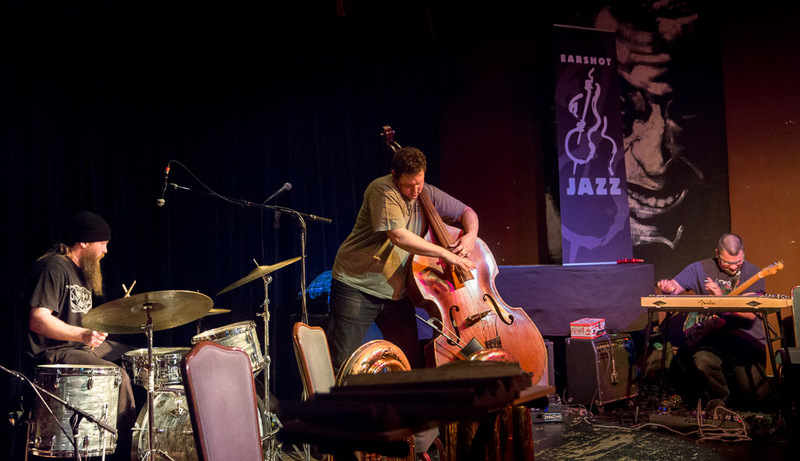 Seman started the organization after he graduated from the Oberlin Conservatory of Music in Ohio and moved to Seattle, soon followed by high school friend Ostrowski, who had studied at the Berklee School of Music in Boston. By 2000, the pair were admitting to having “abducted performers, artists, and other nogoodniks from Seattle’s seedy underbelly” to fuel the Monktail cause. 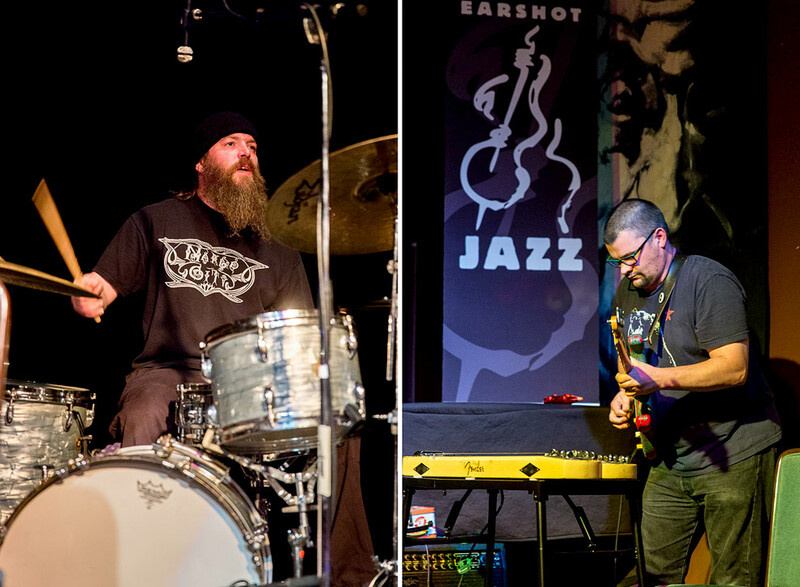 Today Monktail musicians hail from Whidbey Island and Long Island to the UK and beyond.On show are two of Monktail’s many member bands. 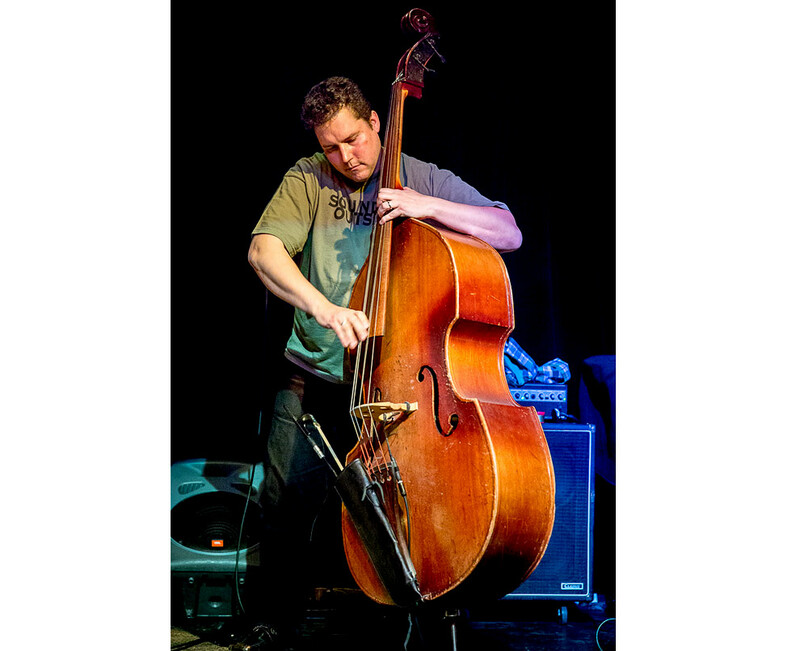 In the sonic-spelunking noise guerrilla trio Special O.P.S., Bay Area electric guitarist Stephen Parris joins Seattle’s John Seman on contrabass and Mark Ostrowski on drums to engage and skirmish with all elements of timbre, volume, and electrical resistance. 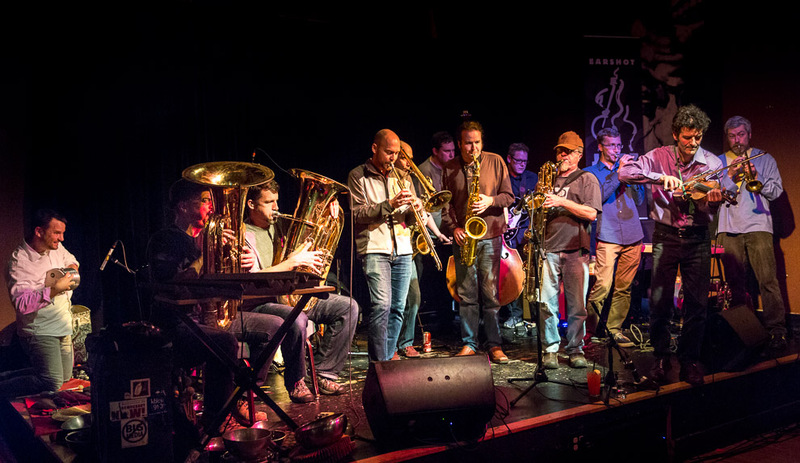 Non Grata is Monktail’s flagship big band. It doses its large-scale free improvisation with cued material, comet chasing the cosmic trails of Sun Ra’s Arkestra, The Mothers, and Globe Unity Orchestra. It features Darian Asplund, Robby Beasley, Kenny Mandell, Billy Monto, Pat Holen, Greg Campbell, Bob Rees, Mark Ostrowski, Stephen Fandrich, David Milford, Scott Adams, Stephen Parris, Simon Henneman, and John Seman.